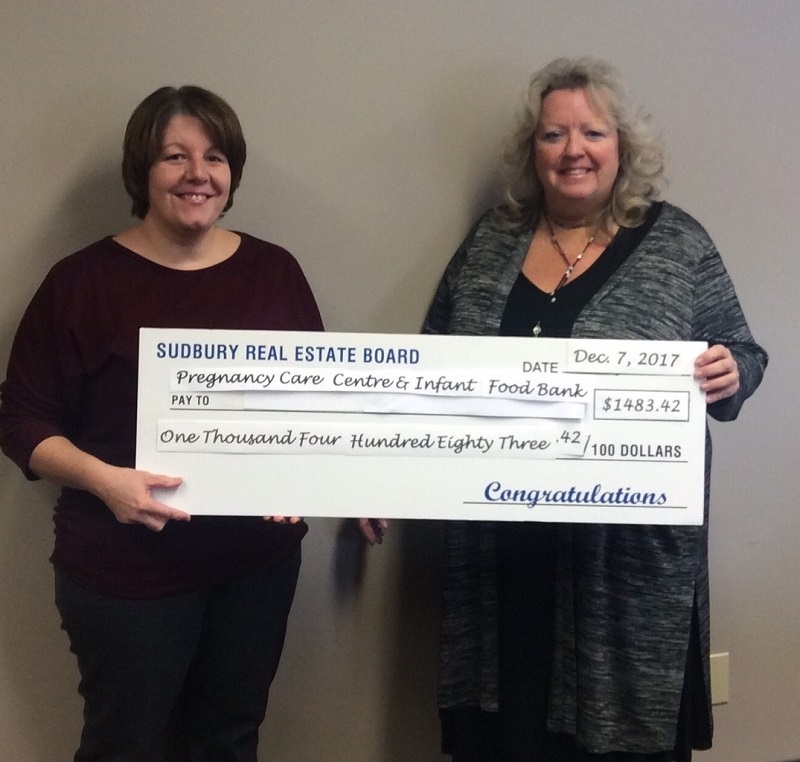 A cheque was presented to the Pregnancy Care Foundation & Infant Food Bank on behalf of the Members of the Sudbury Real Estate Board from the REALTORS Care® Foundation. Accepting the cheque on behalf of the organization, was Dedee Flietstra. Presenting the cheque on behalf of the Sudbury Real Estate Board was 2017 Interim President, Caroline McDonald.